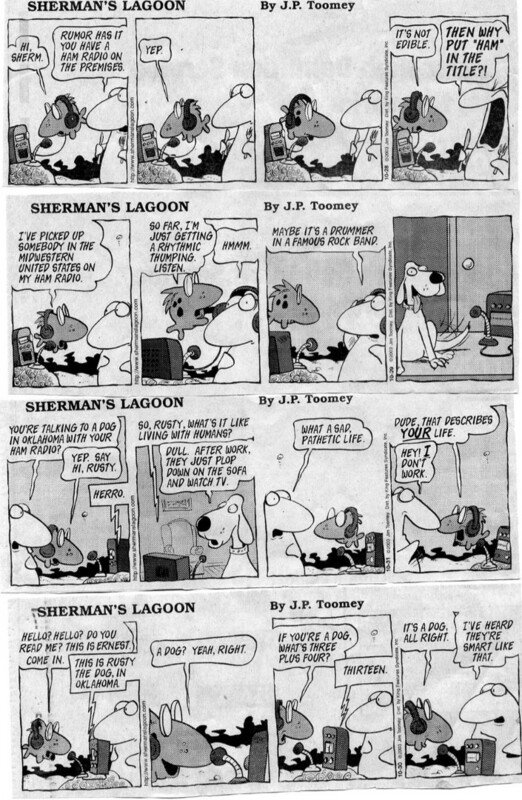 One of the most popular newspaper comic strips over the last few decades has been a strip about a big shark and his buddies "Sherman's Lagoon". 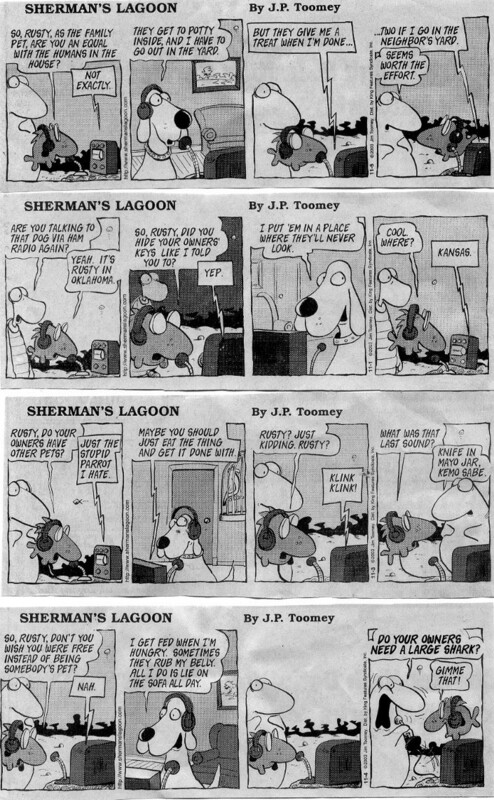 A number of years ago the strip featured an ongoing series about Ham Radio and we have been given permission to display these panels on our web site. The cartoonist is Jim Toomey and these strips are distributed by King Features Syndicate. The panels are used by permission of the author.